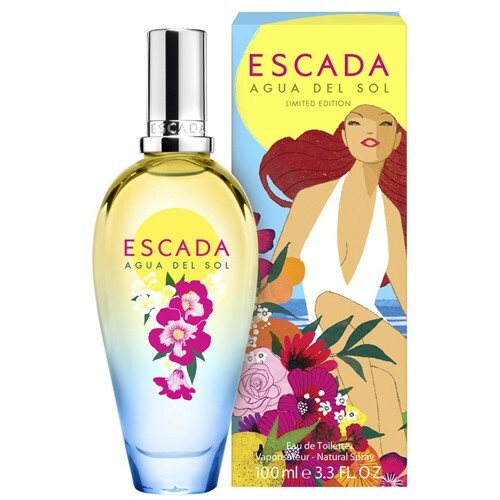 Ever since 1993, Escada has been launching an annual limited summer edition with a floral - fruity character and fun, colorful names and packaging. Agua del Sol will be the one for 2016, taking the place of Turquoise Summer from 2015. The new sweet floral - fruity mixture begins with mandarin, Asian pear ice cream, frozen raspberry sorbet, Italian citrus peel and pink pepper. The heart combines rose petals, apricot and a fruity cocktail. The warm base includes tonka bean, sandalwood and white musk.